Kappalyn Technology Solutions offers a range of camera security systems that are designed to free teachers from supervision duty. 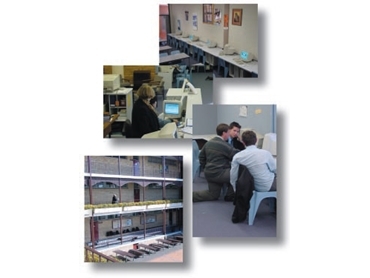 School Cam is a network-based camera security system that eliminates the need for teachers to be involved in supervision of areas such as computer rooms and libraries. The camera security system allows the school administrators to watch over the school in either real-time or store and review for later viewing. School Cam employs high image compression to give an extended recording time. A 15GB hard disk can store 2-3 months of images. A single School Cam unit can monitor up to sixteen surveillance areas. School Cam on Web Watch can allow remote monitoring of multiple sites via the browser with simultaneous viewing. This function enables users to mask specified areas and adjust the sensitivity of the system. If there is any motion in the selected or ‘masked’ area, School Cam will trigger recording and alarms. If there is no motion in the selected or ‘masked’ area, then School Cam will ignore the images and will not record. Once alarm functions are triggered, the system can sound a warning or inform the remote sites by telephone, mobile phone or pager through PSTN. School Cam will begin registering the entrance. School Cam can take pictures while recording, playing, monitoring or remote monitoring. The pictures can display time or camera name. School Cam can execute recording, playing and remote monitoring simultaneously. Users can select the time of playing and searching or select playing from Bookmark. When playing back, School Cam can adjust the size of images and the speed of playing. It can insert bookmarks and cut files to save the important events. School Cam can execute the programmable recording feature automatically. Users can set up the timing schedule according to specific needs. Viewing can be filtered by a password via various levels of security.